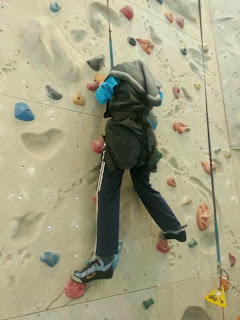 Alhamdulillah I managed to do wall climbing today http://www.camp5.com/ and it was amazing and I want to do it again probably being serious about it too! With a bruise at my right elbow as a proved that I did it ,I went home feeling satisfied to reach my short term goal. and me without realising this before am thankful for I am at peace for not having any men to over shadow or to define who I am, definitely due to Him and the gift to be able to understand the real meaning of life. Every one expect for a better change in their life, and so do I. With your very last breath you are suppose to strive and leave the rest to Him. Knowing that only Him that matters and life here means nothing more than a play. On the 18th of October 2013 marked my day as an MO, unfortunately I know nothing will change nor be better. Life gets tougher as you go on, so I know I will pull through, but these two years taught me a lot about myself and others. It will all falls down.